In 2014 you will feel attracted towards the spiritual and the metaphysical, which will help you develop your inner self but could possibly also make you feel misunderstood and unappreciated. This could lead to a temporary phase of introversion that shouldn't be perceived as negative as during this time you will discover a new creative self that will come handy in the future on a professional level. Don't be afraid, keep on persevering and follow your dreams. As far as health is concerned, you need to take more care of your skin - especially when sun is involved - and also to oral hygiene. Haven't checked your eyesight in the past 12 months? Time to make an appointment with a good Optician/ Ophthalmologist. Love-wise you could find yourself slightly disoriented, alienated and alone - even if you're in a steady relationship. If this happens, you need to pay more attention to the loved ones' needs and shift the focus from yourself. People born under the Cancer sign will help you to overcome the emotional turmoil and will guide you in the right direction. 2014 will bring quite a bit of luck to those born under the Capricorn sign, who will be also charged with humour and positive energy. But be careful: you need to be realistic to avoid mistakes you will deeply regret. As far as love is concerned, the next 12 months will be all about sexual attraction and new relationships. You'll need to avoid being carried away, to watch your alcohol consumption and improve your diet as excesses could quickly lead to weight gain. Practicing some sport regularly could be the perfect solution. You will benefit from spending some times rediscovering and developing your interests as they will could be surprisingly helpful on a professional and financial level. In terms of friendships, in 2014 Capricorn will feel a special connection with Gemini. In 2014 Aquarius will meet new people with whom will develop some long-lasting friendships that will play an important role in the future. You need to be aware of a tendency to carelessness which could negatively affect your choices, therefore it's advisable to postpone big decisions and also to always be fair and balanced in order to fully take advantage of the professional opportunity that are coming your way. As far as health is concerned, you need to look after your kidneys, avoid fatty diets and sweet sugary temptations. In terms of friendships, people born under the Aries sign will be the most close in 2014. The next 12 months will be all about changes and surprises, especially on a professional level. For this reason, it's quite important that you always find some time to dedicate to the development of your creative side as it will help you to better yourself, to become more successful and to financially gain from this process. During the next 12 months it will be very hard for singles to meet the right person, while those of you in a relationship will possibly feel the need to re-discuss the couple dynamics. 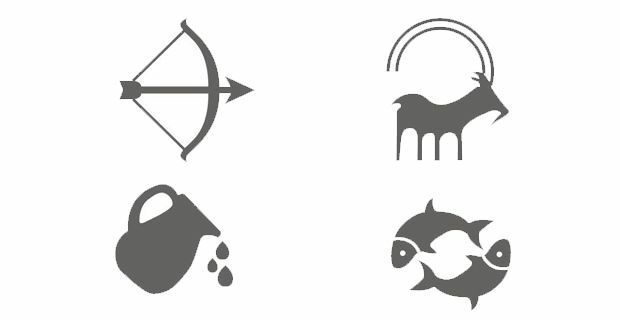 Health-wise, Pisces will need to balance the emotional turmoil caused by the numerous changes by practicing more sport and by eating vitamin B rich food. Sagittarius will be the sign to most influence you in 2014.